"Swiss companies in the spirit of the robot revolution" was written in 20 Minuten, a major Swiss newspaper on January 21st, 2016. Hocoma is one of the Swiss innovation companies that has already heralded the Robot Revolution with their effective, robotic therapy devices — the future of neuro-rehabilitation. "The future is in our hands," said Sarah Connor in 1992, when she was fighting to prevent the robots from taking over the world in the blockbuster "Terminator 2". The film industry has heavily influenced, with different movies, including "I Robot," the creation of the idea that sooner or later robots would replace humans. Robots were at the center of attention at this year's World Economic Forum in Davos, as well. "Industry 4.0" is the buzzword being heard everywhere, and robots that could serve coffee, sell stuff or read visitors’ minds were on display. The future of the world economy is clearly visible in Davos, and Sheryl Sandberg of Facebook, Jamie Dimon of JPMorgan Chase and Jack Ma of Alibaba shared the spotlight with a robot called HUBO. The award-winning, human-size robot from South Korea can climb stairs and get in and out of a car. At Hocoma, the Swiss world leader in functional movement therapy, robots already accomplish far more important tasks. They assist therapists and greatly improve the quality of life of patients in leading rehabilitation centers worldwide. Hocoma’s key to success is intensity — high repetition rates combined with motivational real-time feedback. Robotic orthoses never get tired of repeating physiologically correct movements, and this supports the patient to relearn the corresponding motion sequences. In order to actively involve the patients in the therapy, they are invited to "play" their way through the therapy session. Their performance is displayed in game-like experiences on a monitor in real time. The patients are being challenged and motivated to push the limits of their personal capabilities throughout the therapy session. 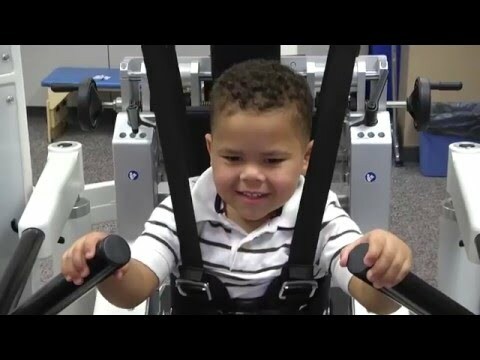 But unlike the robotic coffee sellers, Hocoma's devices do not replace people, as shown in the case of 3-year-old Desmond at the Beaumont Hospital, USA. "We are the solution to the growing costs in rehabilitation. Not only do we help patients get back on their feet or keep them out of nursing homes, but we also disburden the cost-bearers. Not by replacing the therapists, however, but by enabling them to provide patients highly effective therapy. A therapist can treat more patients at the same time and train them more intensively thanks to our machines. This is a huge market of the future, especially for outpatient rehabilitation facilities as inpatient stays are getting shorter," states Gery Colombo, CEO and co-founder of Hocoma. Medical Training Therapy (MTT) transforms into Robotic Training Therapy (RTT) for Hocoma — the therapy center of the future. "Switzerland has all the prerequisites to become a forerunner in the implementation of breakthrough technologies and machine networking," to quote the words of Markus Koch from Deloitte Consulting. 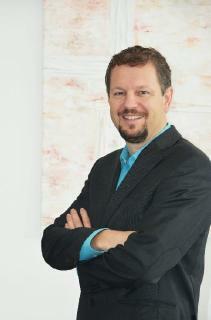 Mike Fuhrmann, CCO at Hocoma, is very critical of the news reporting on this issue. "We have been already there for years, but the rehabilitation market is simply not given enough publicity. Why are the leading Swiss companies in the robotics field not invited to discuss such topics? It is unfortunate to see that such an important convention focuses only on entertainment robots instead on robotic innovations that are truly relevant to our lives," says Fuhrmann. "Why is a robot that can sell coffee, sexier to the World Economic Forum than a robot that can make patients with spinal cord injury walk again? Or drastically reduce the cost of rehabilitation, where the goal is not patients’ care, but regaining quality of life and integration? We live in a world where the number of stroke patients by the aging population, as well as the number of people leading an unhealthy lifestyle, are dramatically increasing, where hospital stays and treatments are becoming shorter." This is exactly what Hocoma has been working toward for the last 15 years: influencing the future of modern rehabilitation with their product solutions. 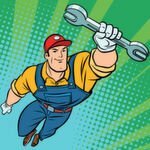 Would it not be reasonable to include these technologies in the context of the World Economic Congresses as well, so decision-makers at the political level could see what could be done to sustainably change the future of mankind? A successful therapy begins in patients' heads. In the firm belief that - step by step - they can reach their goals and regain quality of life. 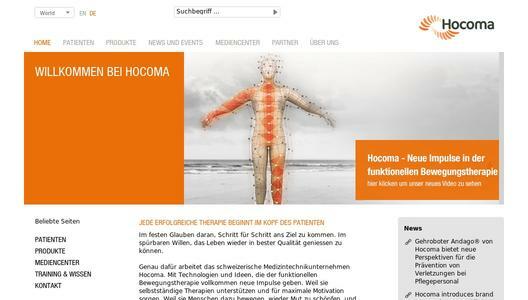 This is what we work for at the Swiss medtech company Hocoma. With technologies and ideas that look at functional movement therapy from a completely different angle. Because they enable independent exercises and create maximum motivation. Because they challenge people to take courage and support their hopes with personal achievements. We are committed to creating the ideal therapy. Our awarded robotic and sensor-based devices offer solutions for intensive gait therapy (Lokomat®, Andago®), functional therapy of the upper extremities (Armeo®), robotic mobilization and functional electrical stimulation in early rehabilitation (Erigo®) as well as functional movement therapy within low back pain treatment (Valedo® Therapy Concept) at home and at the clinic. They are the result of intensive research, consistent development and continuous exchange with patients, therapists and partners in research and science. Those who see to break new grounds need to stay open to exceptional ideas. They have the potential of being exceptionally effective. This guiding principle by Hocoma founder and CEO Dr. Gery Colombo has accompanied us since our start in 2000 and is still lived and implemented by our dedicated employees around the world. At the headquarters in Volketswil near Zurich (Switzerland) and the subsidiaries in the USA, Singapore and Slovenia they achieved a turnover of more than 30 million CHF in 2014.